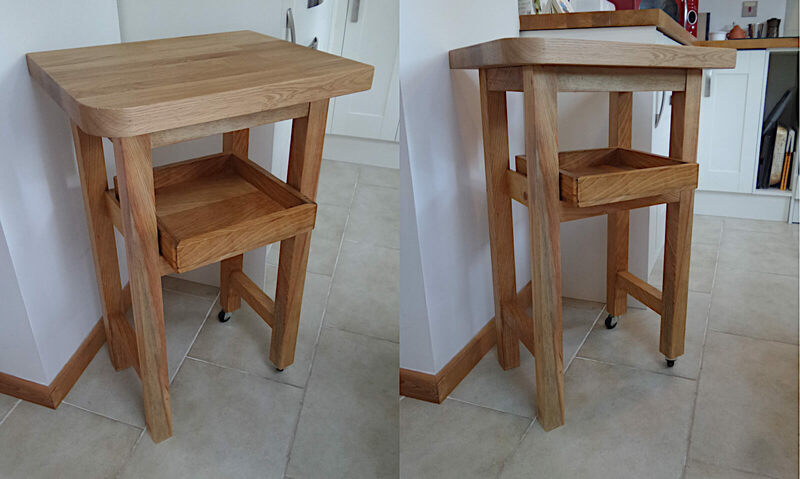 The top of this piece was made from a left over section of kitchen work surface, and the legs and removable tray are made from radial pine. Two of the legs have wheels on for ease of movement. Made to customer’s specification.